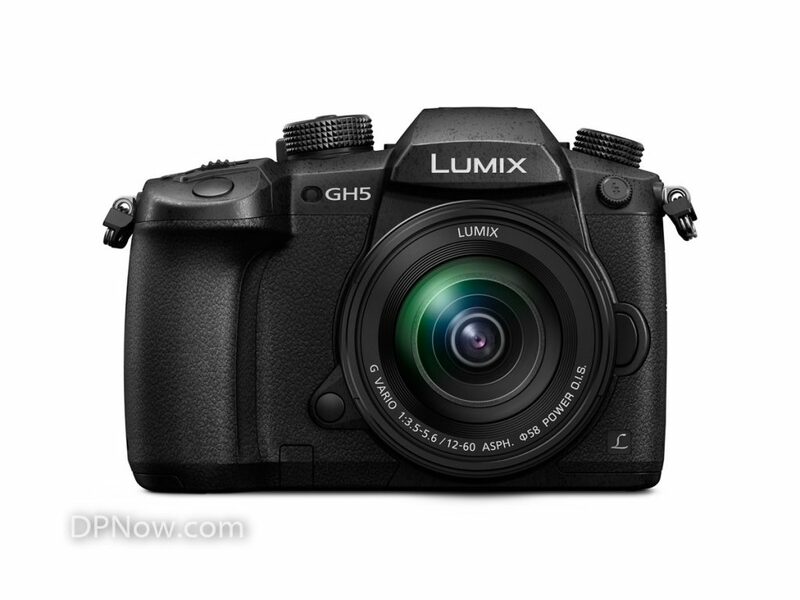 Panasonic has today announced the LUMIX GH5, the latest flagship model of LUMIX G CSC cameras based on the Micro Four Thirds system standard. The new camera delivers a high-end, hybrid performance to photo enthusiasts and professional videographers looking to capture moments in 4K 60p / 50p video and 6K PHOTO. Defying all the general concepts of what a mirrorless camera can do, the LUMIX GH Series has reached a number of milestones with this introduction. Packing a host of innovative advancements in picture quality, response and performance into an unimaginably small-sized body, the new LUMIX GH5 opens the door to a new stage of photographic and cinematographic culture. The LUMIX GH5 is able to realise high-quality images with real-to-life detail through excellent resolution, image rendering and colour reproduction. Its new Digital LIVE MOS Sensor increases the pixel count by 25% compared to the GH4, from 16.05 to 20.3 megapixels, while also removing the low-pass filter. The camera also comes with a new image processor Venus Engine, which achieves improvement especially in Natural Texture Expression. The engine’s Multi-pixel Luminance Generation renders clear, sharp images by referring to a 9x larger area of pixel information during the de-mosaic process for precise detail reproduction. With Intelligent Detail Processing, the characteristic of every single pixel is analysed to detect whether the pixel is located at a flat, detail or edge part of the picture. Optimum processing according to the characteristic of each pixel is then applied. This results in high-precision yet natural images with stunning detail suppressing false colours at its edges. Also, Three Dimensional Colour Control detects not only hue and saturation, but also brightness, and applies optimum control according to the value of each factor. This achieves rich colour reproduction from dark to bright parts of the image. The conventional Multi Process NR (Noise Reduction) is upgraded to High Precision Multi Process NR. It boasts 4x the noise identification accuracy compared to the previous engine and preserves details even after the noise reduction process. As a result, photos can be clearly shot even at high sensitivity ISO values of up to 25600. 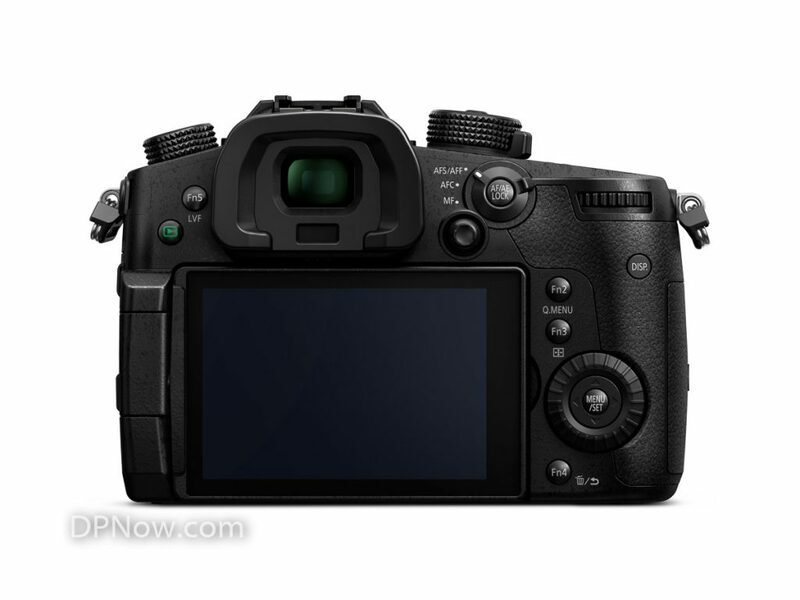 The LUMIX GH5 also incorporates the 5-axis Dual I.S. (Image Stabilizer) 2, which suppresses blurring in more powerful and advanced ways for both photo and video recording, including 4K video. Combining an O.I.S. (Optical Image Stabilizer, 2-axis) and B.I.S. (Body Image Stabilizer, 5-axis), it compensates for larger movements which were conventionally uncontrollable. The LUMIX GH5’s high-precision gyro sensor controls both the O.I.S. and B.I.S. compensation by studying the focal length and shooting conditions, making it possible to use a max. 5-stop slower shutter speed. This is highly beneficial not only for wide-angle and telephoto shots, but also in adverse situations, such as at night-time or when shooting with one hand. The LUMIX GH Series created an epoch-making industry sensation by achieving outstanding video recording performance with advanced features that meet the needs of professional quality levels and standards. With the LUMIX GH5, the signal readout speed has been accelerated by max 1.7x in the new Digital LIVE MOS Sensor, and the new Venus Engine processes signals at max 1.3x higher speed. This synergy realises 4K 60p / 50p ultra high-definition, smooth, video recording for the first time in a compact system camera. It is also capable of internal 4:2:2 / 10-bit video recording, which is the colour subsampling commonly used for film production, for even more faithful colour reproduction. The high-sensitivity MOS Sensor and Venus Engine effectively suppress rolling shutter distortion and realise high-speed readout of full digital signals. This ensures an outstandingly high image quality for every single frame. In addition, the focal length in video recording is kept the same as that in photo shooting (no cropping). Users can freely choose between MOV, MP4, AVCHD Progressive and AVCHD formats at a variety of frame rates, and there is no recording time limit for both FHD and 4K video. Professional users working globally can set the system frequency to 59.94Hz, 50.00Hz or 24.00Hz. 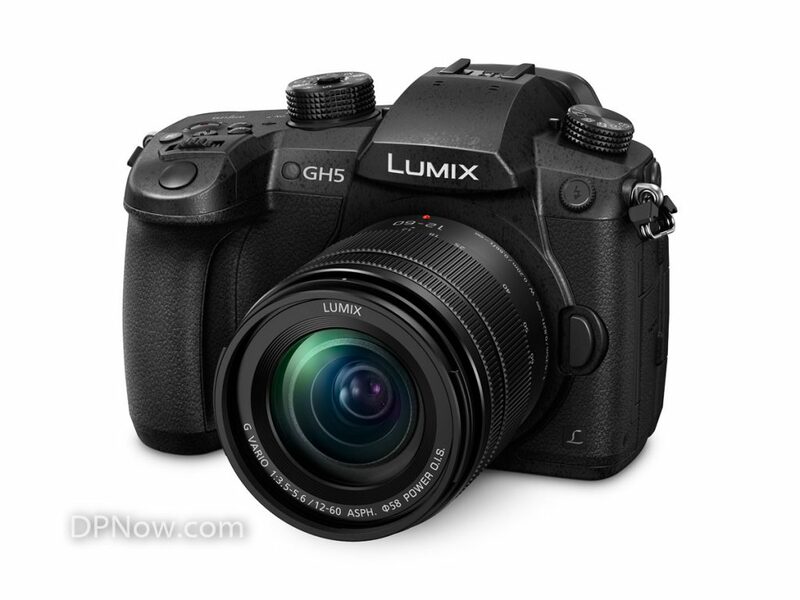 While ‘Cinelike D’ and ‘Cinelike V’, which have similar gamma setting characteristics for film production, are available in Photo Style for video recording, the LUMIX GH5 also provides ‘Like 709’ for compatibility with HDTV. A paid software upgrade to support V-LogL video recording is also available. In response to requests from professional users, the LUMIX GH5 comes with a Waveform Monitor and Vector Scope. It also embeds SMPTE-compliant Time Code either in Rec Run or Free Run count-up methods, which makes it easy to synchronise multiple video footage or sound sources in the post production workflow. Luminance levels can be selected between 64-1023 / 64-940 / 0-1023 (10-bit). Synchro Scan mode suppresses flicker and Colour Bars (SMPTE / EBU / ARIB Standard) are also available. The LUMIX GH5 comes with a newly improved Depth from Defocus and Contrast AF technology, which not only calculates the distance to the subject by evaluating two images with different sharpness levels, but also analyses the form, size and even motion of the subject comprehensively. Thanks to the new Venus Engine, the time for measuring the distance to the subject is 6x faster, while factorising the distance into in-plane or in-depth is 2x faster. The speed of sensor drive during auto focusing in photo shooting mode has been increased to 480 fps, which is 2x faster than that of the GH4. Consequently, the LUMIX GH5 realises ultra-high-speed AF of approximately 0.05 sec and 12 (AFS) / 9 (AFC) fps high-speed burst shooting using a mechanical shutter in full resolution. By analysing every single frame precisely, it achieves a maximum 200% higher precision frame detection with minimum motion detection error for higher tracking tolerance against moving subjects. For even more precise focusing, the number of focus areas has been increased from 49 to 225. Users can create a group of focus areas depending on the composition and can control it easily with a new joystick located on the thumb position, without taking your eyes off the subject. This is possible even when using the LVF or releasing the finger off the shutter button. If focus is not exactly as the user intended when the shutter is pressed, the LUMIX GH5’s Post Focus function enables users to select the specific focus point even after shooting – particularly helpful in situations like macro shooting where severe focusing is required. In addition, the camera also features a Focus Stacking function. As taking a single macro photo with specific areas in focus can sometimes be difficult, Focus Stacking enables users to take multiple images of the same frame with different focus points. You can then combine them into one image with the defocus as you like. The LUMIX GH5’s new 6K PHOTO function makes it possible to capture unmissable moments at 30 fps by extracting the frame with the best timing out of the 6K burst file (in 3:2 or 4:3 aspect) to save as an approximately 18-megapixel equivalent high resolution photo. 4K PHOTO has also been upgraded enabling 60 fps high speed capture in approximately 8-megapixel equivalent resolution. In 6K/4K PHOTO, three exclusive modes are available to choose from depending on the situation; 6K/4K Burst, 6K/4K Burst (Start/Stop) and 6K/4K Pre-burst. By compensating the signal information between the frames, the Venus Engine makes it possible to apply Post Recording Refinement over the pictures to correct distortion and reduce noise when playing back or cutting images out of the 6K/4K burst file. As a result, the picture quality of 6K/4K PHOTO shot at high shutter speed in high sensitivity or those shot in panning are dramatically improved. To be tough enough to withstand even heavy field use, the LUMIX GH5’s main structure is composed of a magnesium alloy, full die cast front/rear frame. Secure construction and the sealing of every joint, dial, and button makes the camera not only splash/dust-proof, but also freeze-proof down to -10 degrees Celsius. The LUMIX GH5 is equipped with a double SD Memory Card slot compatible with high-speed, high capacity UHS-II for the first time in the LUMIX digital cameras. Users can flexibly choose the recording method either in Relay Rec, Backup Rec or Allocation Rec. The LUMIX GH5 has a large LVF (Live View Finder) with a stunningly high magnification ratio of approximately 1.52x / 0.76x (35mm camera equivalent). The high-precision, high-speed OLED display features 3,680K-dot high resolution and 100% field of view. Adopting a static-type touch control system, the 3.2-inch free-angle rear screen in 3:2 aspect with 1,620K-dot high resolution achieves approximately 100% field of view. Finally, the shutter unit is durable for approximately 200,000 releases. The LUMIX GH5 integrates Bluetooth 4.2 and Wi-Fi® 5GHz (IEEE 802.11ac) connectivity to offer a more flexible shooting experience and instant image sharing with easy operation. The LUMIX GH5 is compatible with the new Battery Grip DMW-BGGH5. By using two batteries, one in the camera and the other in the grip, the DMW-BGGH5 extends the battery life for longer time shooting. The optionally available microphone adaptor DMW-XLR1 is a plug-in type adaptor for XLR microphone to record high quality stereo sound. To save power, the camera automatically enters sleep mode after detecting the eye is off the LVF sensor. Various shutter systems are available with the LUMIX GH5: A mechanical shutter with maximum 1/8000 sec, an electronic-first curtain shutter with maximum 1/2000 sec which can be used with flash while suppressing the shutter shock, and an electronic shutter without shutter shock with maximum 1/6000 sec. Firmware updates will add: Full HD 4:2:2 10bit video recording capability (scheduled for April 2017); 400Mbps 4:2:2 10bit All-Intra video recording in 4K 30p/25p/24p; Full HD, high resolution video recording in Anamorphic mode; Hybrid Log Gamma in Photo Style mode which enables popular 4K HDR video recording and USB tethering (all scheduled for second half of 2017). To keep up to date with the latest news, follow @LumixUK on Twitter, Facebook and Instagram. 5-axis Dual I.S. 2 can be used with the H-FS12060 and H-FS14140 (requires firmware update) lenses as of January 4, 2017. The firmware for the use of 5-Axis Dual I.S. 2 with H-RS100400 will be released in February 2017. The newly introduced lenses H-ES12060, H-HSA12035, H-HSA35100, H-FSA45200 and H-FSA100300 are all compatible with 5-axis Dual I.S. 2. Based on the CIPA standard [Yaw/Pitch direction: focusing distance f=50-140mm (35mm film camera equivalent f=100-280mm), when H-FS14140 is used. Contrast AF with DFD Technology works only with Panasonic Micro Four Thirds lenses. In AFS, at wide-end with H-ES12060 (CIPA). The Post Focus function needs to be activated manually in the camera menu. 6K PHOTO’ is a high speed burst shooting function that cuts a still image out of a 4:3 or 3:2 video footage with approx.18-megapixel (approx. 6000 x 3000 effective pixel count) that the 6K image manages. Panasonic is today launching the ultimate high performance compact mirrorless camera – the LUMIX GX800 – which offers great image quality for those who want to capture amazing scenery and unmissable moments. The DC-GX800 offers newly integrated 4K PHOTO and 4K Video all in a sleek, stylish compact body. The 3.0-inch 1040K-dot static touch control screen boasts a 180-degree tiltable structure and the camera goes into Self Shot mode automatically once the monitor is flipped. In Self Shot mode, a variety of functions for selfies are available on the LUMIX GX800, including a newly-added 4K Selfie mode. Users can also choose to capture the background clearly or defocused depending on the situation with the new Background Control mode. Panorama pictures can also be shot in Self Shot mode. The 16.0-megapixel Digital Live MOS Sensor without low-pass filter and the new Venus Engine combine to achieve crisp, high-resolution images in fine details with high-contrast, impressive colour reproduction and maximum ISO 25600 high sensitivity. The LUMIX GX800 records smooth, high-resolution QFHD 4K videos in 3840×2160 resolution at 30p/25p(50Hz Area) or 24p in MP4. Taking advantage of 4K technology, users can also enjoy 4K PHOTO shots and a variety of derivative functions, such as Focus Stacking, Post Focus and Light Composition. For more creative freedom, Creative Control, Creative Panorama and Photo Style including L.Monochrome mode are included. 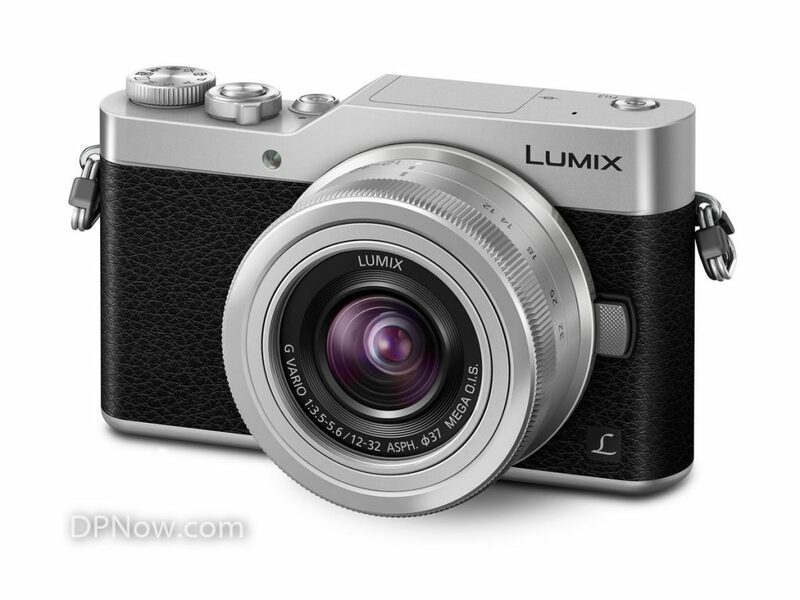 The iA (Intelligent Auto) mode and Scene Guide make LUMIX GX800 easy to use. The camera integrates Wi-Fi® connectivity to offer a more flexible shooting experience and instant image sharing with easy operation. The LUMIX GX800 is capable of recording smooth, high-resolution 4K videos yet despite its high performance, it boasts superior energy-efficiency within a compact design. Thanks to this 4K technology, users can also experience 4K PHOTO to capture fleeting photo opportunities at 30 fps by extracting the frame with the best timing out of a 4K burst file to save as a photo. In 4K PHOTO, three modes can be chosen from depending on the situation; 4K Burst, 4K Burst (Start/Stop) and 4K Pre-burst. All of these functions in 4K PHOTO let the user save pictures in 8-megapixel equivalent high-resolution, which is good enough for printing in A3 size. A maximum of 150 frames in five seconds following a designated frame can be saved. The LUMIX GX800 also comes with a Post Focus function that lets users select the focus area after shooting. This function was developed by combing the high-speed, high-precision DFD (Depth from Defocus) auto focus technology and 4K technology. The LUMIX GX800 lets users shoot vibrant, true-to-life high-quality images with excellent resolution, high contrast and impressive colour reproduction. By removing the low-pass filter, the limiting resolution has been improved. The Venus Engine reproduces vibrant, impressive colours for images such as clear skies by dividing the hue, saturation and luminosity, and finely adjusting them separately. The combination of the Digital Live MOS Sensor and Venus Engine achieves clear image rendering with minimum noise, even in low-lit situations. The Contrast AF System features DFD (Depth from Defocus) technology and excels in both speed and accuracy by exchanging digital signals between the camera and the lens at a maximum of 240 fps, resulting in ultra-fast auto focusing of approx. 0.07 sec. The LUMIX GX800 will be available from March 2017 in Silver, Black, Tan and Orange and will RRP at £499.99. 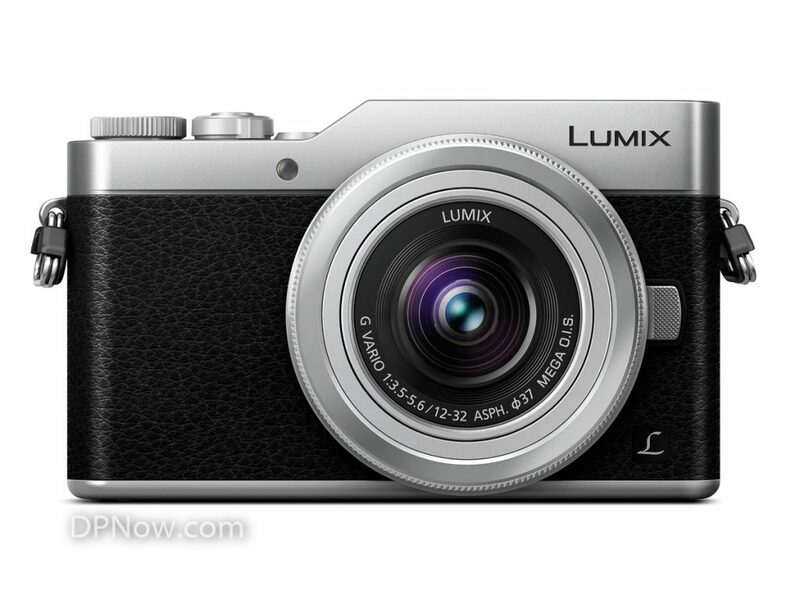 To keep up to date with the latest news, follow LumixUK on Twitter, Facebook and Instagram. Canon launches the sleek and stylish PowerShot G9 X Mark II, three easy to use compact cameras and introduces the new LEGRIA HF series. 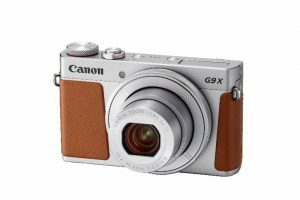 United Kingdom, Republic of Ireland, 4 January 2017 – Canon today refreshes its acclaimed PowerShot G-series with the PowerShot G9 X Mark II, a super slim, pocketable powerhouse. Offering superfast continuous shooting speeds of up to 8.2 fps, a large 1.0 type 20.1-megapixel sensor and Canon’s DIGIC 7 processor, the camera delivers responsive performance and stunning results with every press of the shutter. Whether you’re an enthusiast looking for a trusted companion, or ready to upgrade from a smartphone, the PowerShot G9 X Mark II is the camera to be carrying. With a DIGIC 7, and CMOS sensor at the heart, the PowerShot G9 X Mark II offers significantly improved performance and high quality results. Dual sensing image stabilisation offers 3.5-stop correction using parallel stabilisation processing, great for shooting on the go and keeping the frame steady even when your hand isn’t. For spontaneous moments – from surprise animal appearances to street performers – sustained continuous shooting at 8.2 frames per second, coupled with 0.14 second auto-focus ensures you’re always ready and have a camera that keeps up. To keep everything in the shot, the PowerShot G9 X Mark II packs a 3x optical zoom and 28mm wide angle lens, great for striking portraits and beautiful landscapes alike. Memorable moments are captured with perfect clarity, whatever the light. The sensor significantly reduces noise and improves dynamic range for consistent performance day or night, while the f/2.0 lens lets in more light, giving you the freedom to use lower ISO or higher shutter speeds, and create beautiful background blur. For motion blur while capturing moving objects, the new Auto ND filter restricts light reaching the shutter, letting you use longer shutter speeds without over-exposure. Unleash your budding videographer and capture incredible Full HD movies; DIGIC 7’s improved subject tracking ensure you capture everything, from big, sudden movements to changes as small a change in facial expression. Whether you’re climbing a mountain or exploring a city, there’s no need to stand still. Canon’s Dynamic Image Stabilisation automatically corrects camera shake, helping you shoot from any angle or on the move. For unique creations the PowerShot G9 X Mark II includes Time-Lapse movie capture, with a variety of settings to give you creative control. The PowerShot G9 X Mark II delivers amazing performance in a minimalist design and retro style, with an elegant and compact aluminium body – 25 per cent thinner than the G7 X Mark II. Weighing just 206g, it’s perfect for pockets and won’t weigh you down. 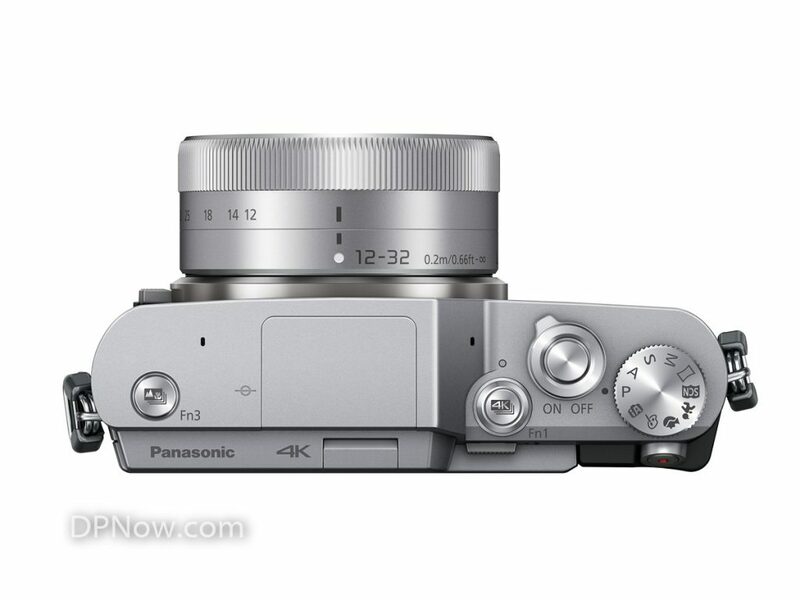 The camera embodies a minimalist design, with the intuitive LCD touchscreen providing full control and access to settings, without adding bulky buttons, while the Lens Control Ring gives you greater control over aperture, shutter speed and zoom. Stay in touch with connectivity at your fingertips via the Wi-Fi button. Dynamic NFC lets you quickly connect and transfer images to compatible smart devices, including the Canon Connect Station, to easily share and safely store your photos and movies. The new Bluetooth compatibility means you can maintain a constant camera connection, so you can see and share your photographs via a phone or tablet even when your camera is tucked away. The features also mean smart devices can be used for Wireless Remote Shooting, helping you get in front of the lens for group shots and stand out selfies. With USB charging, you can conveniently charge anywhere your adventures take you. The PowerShot G9X Mark II will be available from February 2017 with an RRP of £449.99/€569.99. 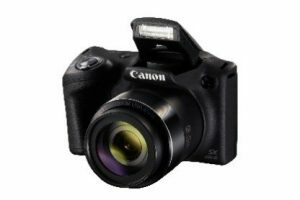 United Kingdom, Republic of Ireland, 4 January 2017 – Canon today unveils three new compact cameras that help you get ready to capture any spontaneous moment, with the introduction of the slim and stylish IXUS 185 and IXUS 190, and the mini-bridge superzoom, the PowerShot SX430 IS. The new IXUS models are the slimmest in the range, perfect if you want a camera to carry with you wherever you go, with image quality that wows. The PowerShot SX430 IS’s massive 45x zoom is perfect for families looking for a camera to take them closer to all their special moments, so they can be relived again and again. Each new camera captures moments in impressive 20 Megapixel quality, as well as movies in HD 720p, with powerful optical zooms that give you the freedom to get closer to the detail. 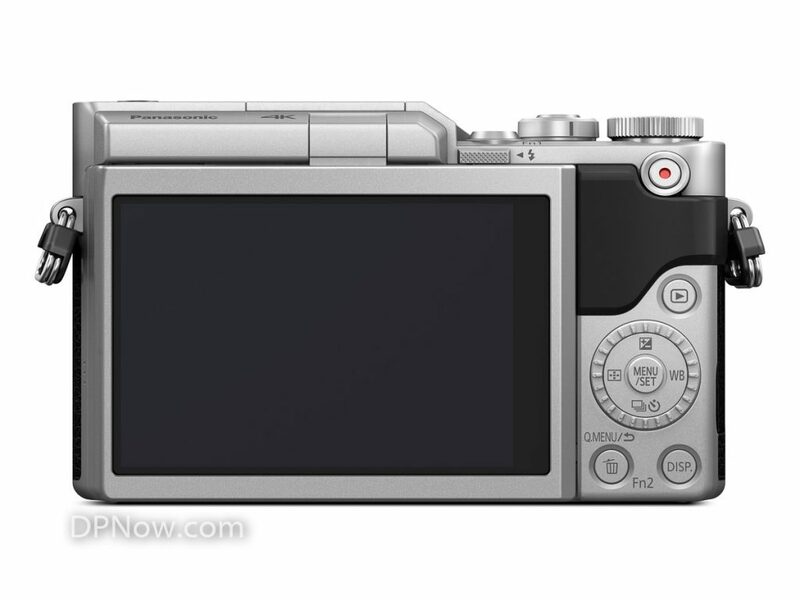 The IXUS 185’s 8x and the IXUS 190’s 10x optical zooms recline back into their bodies, which are so compact they can easily be slipped into a pocket or bag, while ZoomPlus digital doubles the zoom range, perfect for getting those hard to reach shots while still at full resolution. For really long distant scenes, the PowerShot SX430 IS’s impressive 45x optical zoom puts you at the heart of the action, while the 90x ZoomPlus takes you even closer. To help you capture every friend, family or scene in the best light, the IXUS’s new Easy Auto feature automatically selects the best camera settings for you, and locks buttons to help you avoid pressing anything by mistake.. For added ease, Auto Zoom intelligently selects the best framing for stills and movies, all dependent on the number of people in shot. With each press of the shutter, Canon’s Intelligent IS helps to ensure images are crisp, with minimal blur. Eight modes constantly adapt to the scene that’s being captured, from on a tripod to panning whilst shooting a child running, while Dynamic IS supports during movie shooting. Newly introduced to each of the cameras is the new Date Button, which adds a date and time stamp to images for a visual reminder of when precious moments took place. 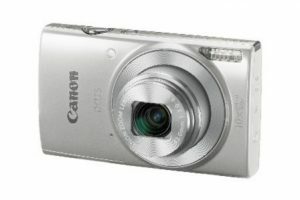 Gone are the days of lengthy edits and slow uploads; you can easily share your snaps directly to social sites with the built in Wi-Fi or, with the IXUS 190 and PowerShot SX430 IS, by tapping the camera and your phone together to make an automatic wireless connection, thanks to Dynamic NFC. · The IXUS 190 will be available at selected retailers from February 2017 with an RRP of £169.99/€219.99. 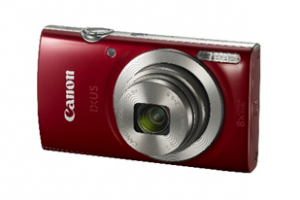 · The PowerShot SX430 IS will be available later this year at selected retailers with a RRP of £229.99/€299.99. United Kingdom, Republic of Ireland, 4 January 2017 – Canon today unveils a refreshed LEGRIA HF series with the introduction of the LEGRIA HF R806, LEGRIA HF R86 and LEGRIA HF R88. 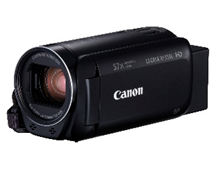 Offering an easy-to-use, quality HD video camera experience for families and memento seekers, the updated line retains the features of their predecessors and adds more creative control including flexible slow and fast motion effects, enhanced low light capability for clear and colourful movies and an all new body finish. Each of the camcorders now offer the ability to change framerates mid-recording with the new ‘Flexible’ slow and fast motion effects. Whether you’re slowing down at the crucial moment candles are blown out, or speeding up as your loved one dives from the board, you can add comic or dramatic effects with ease. To ensure your videos look natural and well lit, the Highlight Priority mode is backed-up with an improved Backlight Correction, which can now be selected directly when shooting. The combination of the two settings helps the camcorder analyse the scene to ensure all the detail is captured and the contrast between light and dark is sharper, even in bright scenes. To help you navigate every setting the colourful 7.5cm high-res touch screen offers access to an easy-to-use interface, while Automatic scene takes the pressure away by intelligently changing the settings for you. With a long battery life, these camcorders keep going, and the LEGRIA HF R86 and LEGRIA HF R88 include built in storage to let you capture more. The entire LEGRIA HF line is equipped with powerful Intelligent IS with 5 axis stabilisation, which helps balance out any camera shake, even at high levels of zoom. Whether you’re capturing your baby’s first steps or holiday fun in the sun, your video will stay steady while you rush to keep up with the action. Let far-away details come closer with the 32x optical zoom, an impressive 57x Advanced Zoom and reliable Auto Zoom Framing Assist to make sure you never miss a shot. For sound that brings your videos to life, Audio Scene Select adds the optimum setting for any scene to get the best audio quality. The LEGRIA HF R88 also contains the WA-H43 wide angle lens adapter to provide an even wider angle of coverage, great for situations where you are shooting in a confined space or for capturing a stunning landscape. The connectivity features of the new LEGRIA HF series let you to share your videos in an instant. The LEGRIA HF R86 and LEGRIA HF R88 both include built-in Wi-Fi and Dynamic NFC, and are now fully compatible with the Canon Camera Connect App and Canon Connect Station CS100. For a range of connected features the LEGRIA HF R806 is FlashAir compatible.